By 1967 the Fontana company had entered the loosely categorized folk market. 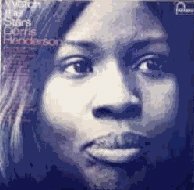 Dorris signed with them and this is essentially her sequel to 'There You Go.' I played guitar on most of the tracks and some of the songs were ones that we had played together on the road. But this studio album included a couple that came a bit later like Anne Brigg's 'The Time Has Come' and 'Watch the Stars' which resurfaced in the Pentangle book. It also featured other players. Guitarist Tim Walker played on one track and Danny Thompson, who had been in Alexis's band on the old television show was in on the sessions, bringing the lineup of Pentangle even closer. John Renbourn - Guitar & Vocals. Click on the links below to see an accurate gig guide of the following artists. Copyright © 2001 - 2013. All rights reserved.